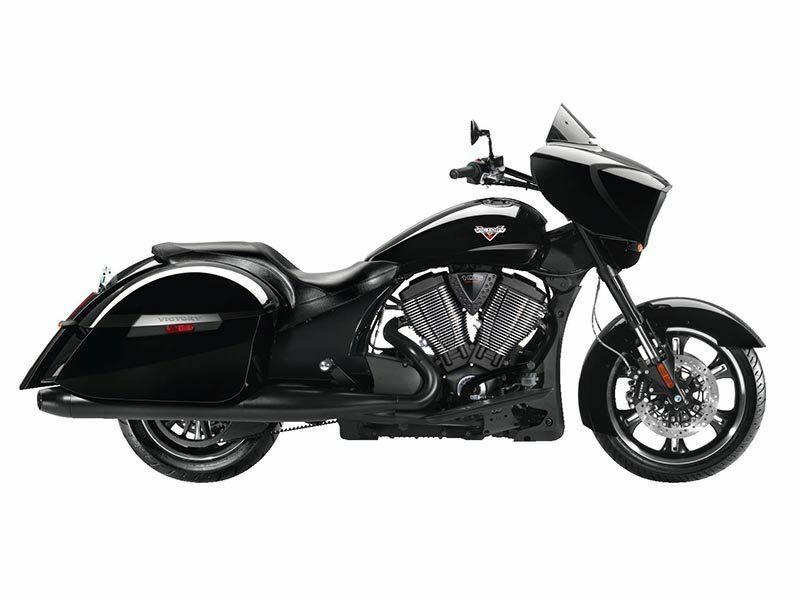 Bagger motorcycle riders ride in style on the Cross Country 8-Ball® from Victory Motorcycles. It has a stylish fairing, audio, convenient storage space, comfortable seating for one or two riders, and blacked-out style. The rear suspension keeps the ride smooth. It provides 4.7 in. of travel, and its air shock is easily adjusted using a hand pump for a consistently smooth ride. Ride solo or 2-up, with or without cargo, and the rear suspension will keep it smooth. With the Victory Cross Country 8-Ball, you’ve got attitude – and power. The 106-ci Victory® Freedom® V-Twin delivers 106 ft, lbs. of torque, and it’s a smooth, efficient engine – counter-balanced and fuel-injected. The 6th gear overdrive of the Victory 6-speed transmission drops the RPMs and delivers the smooth ride you’re looking for.